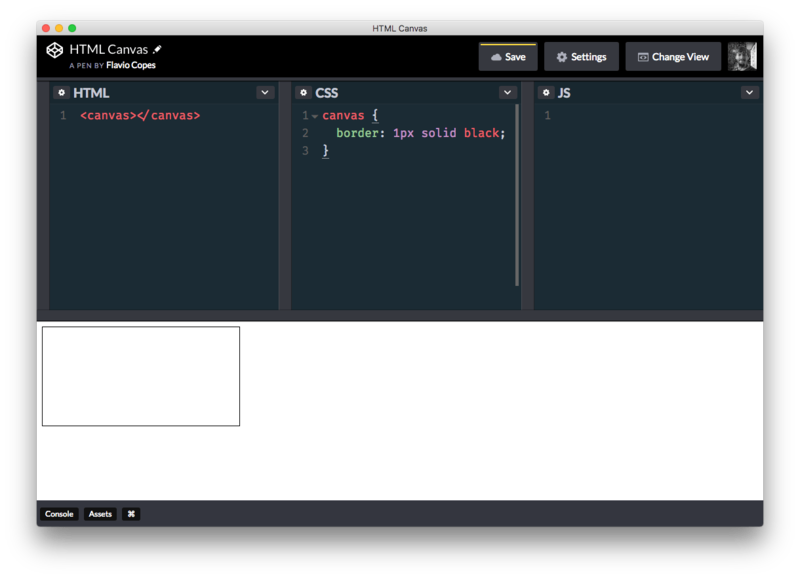 The HTML canvas is an HTML tag, <canvas>, which is an element where we can draw to using the Canvas API. We’ll leave the default for now. and in this way the canvas will expand to fill all the outer element size. 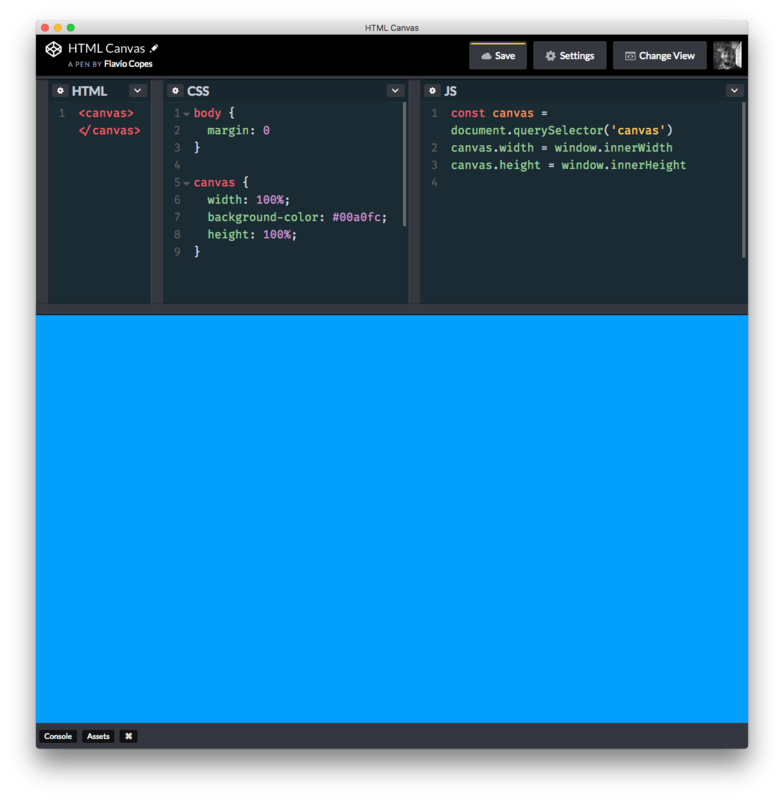 If you put the canvas as a first level element in the HTML, the above code will expand the canvas to fit the entire body. We want to draw to the canvas. The getContext() method returns a drawing context on the canvas, according to the type that you pass as parameter. Based on the context type, you can pass a second parameter to getContext() to specify additional options. In the case of the 2d context, we basically have one parameter we can use in all browsers, and it’s alpha, a boolean that defaults to true. 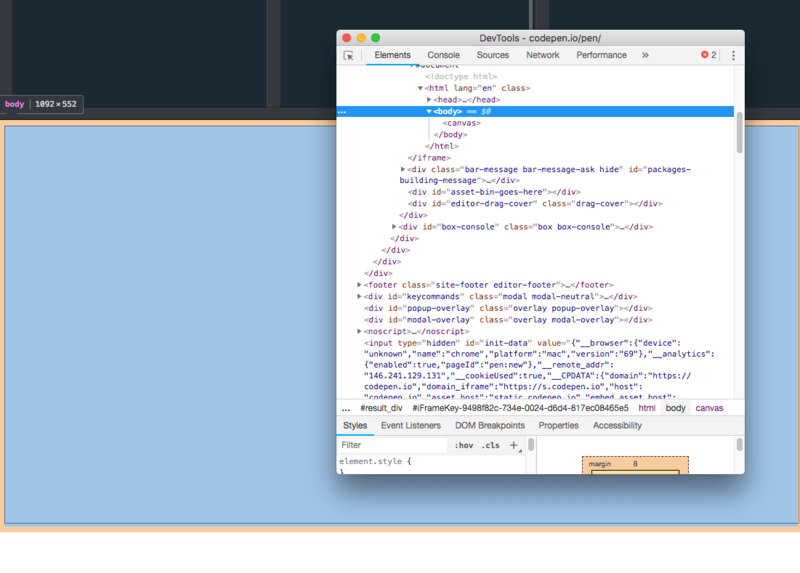 If set to false, the browser knows the canvas does not have a transparent background and can speed up rendering. With the context we can now draw elements. and for each of those elements we can alter the fill, the stroke, the gradient, the pattern, the shadow, rotate them, scale and perform a lot of operations. Let’s start with the simplest thing: a rectangle. Let’s just see a few of them, rectangles and text, to get the gist of how things work. You can find the API for all the rest that you need here. which let you write text on the canvas. x and y refer to the bottom-left corner. The line is going to be colored according to the c.strokeStyle property value. 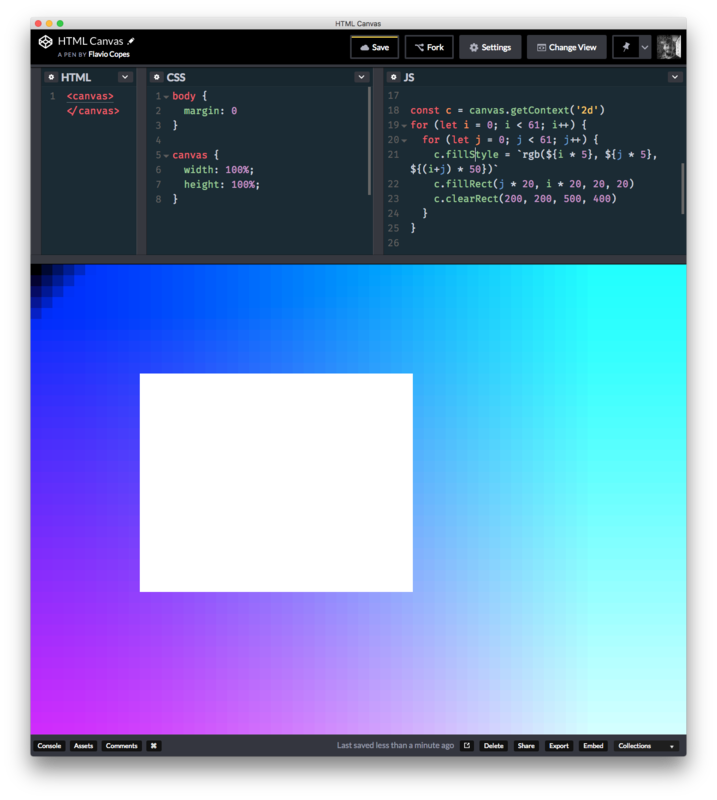 Every circle is perfectly contained in the canvas, and its radius is randomized. 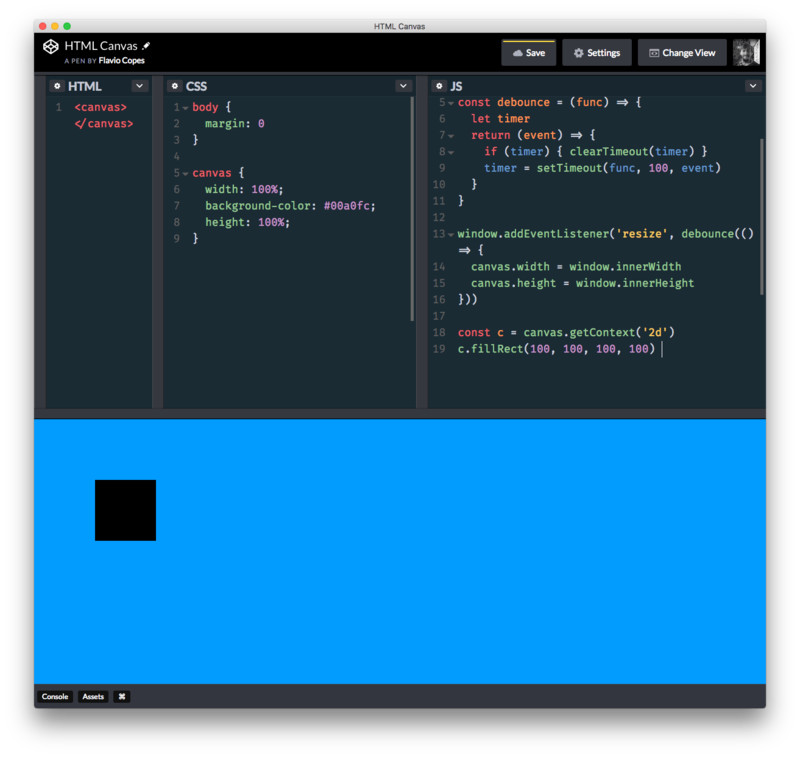 Any time you resize the window, the elements are regenerated. 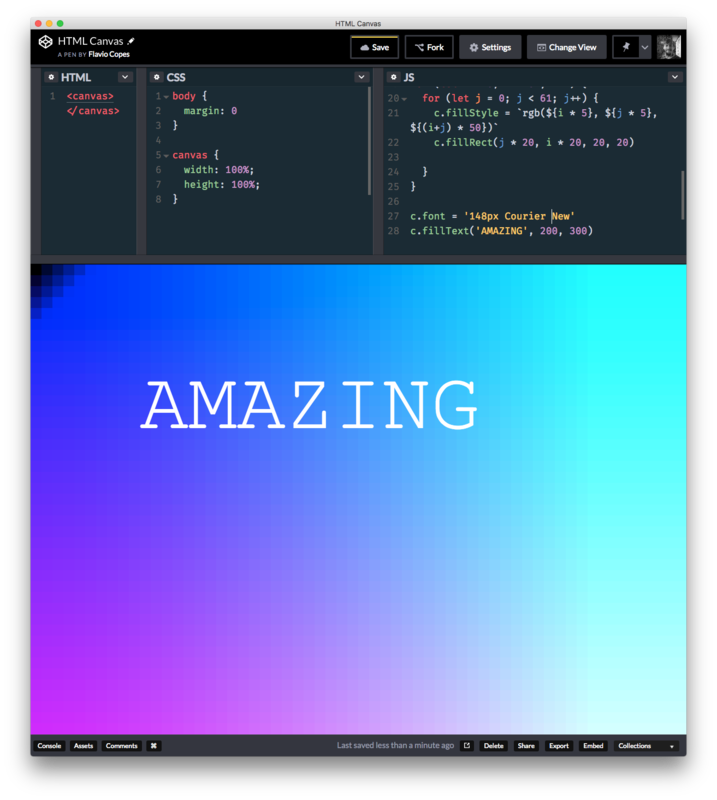 You can play around with on Codepen. 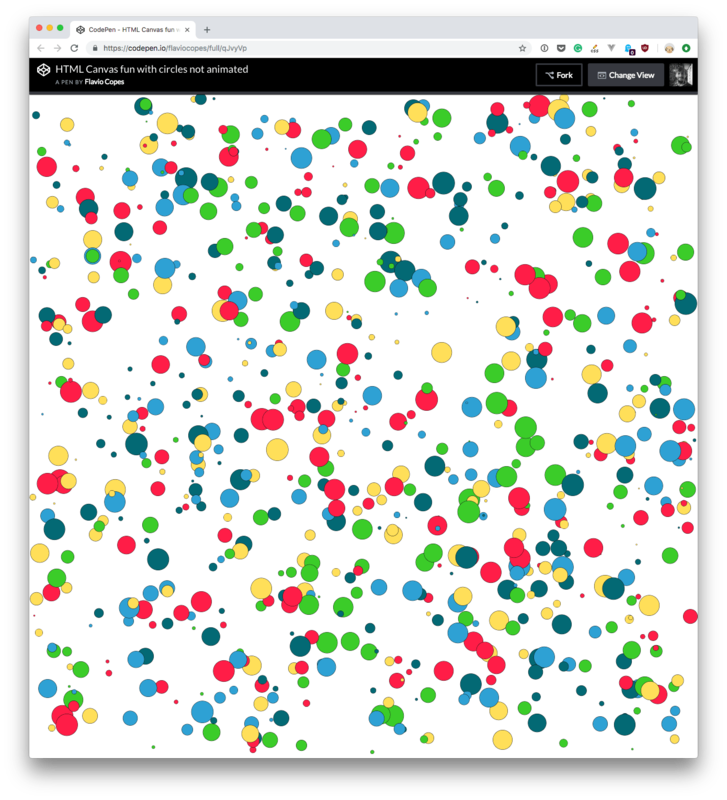 See the Pen HTML Canvas fun with circles, not interactive by Flavio Copes (@flaviocopes) on CodePen. 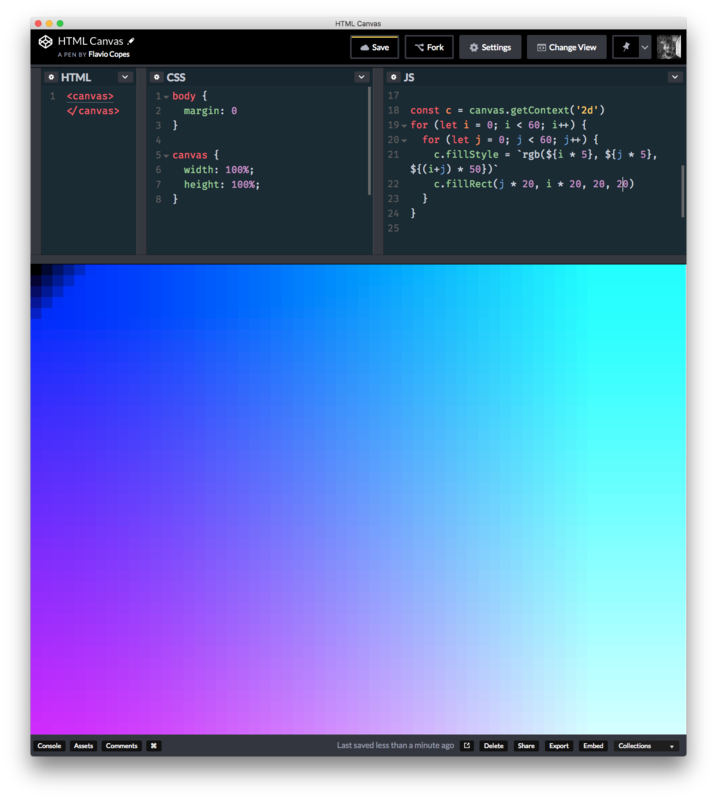 We achieve this by using requestAnimationFrame() and slightly moving the image at every frame rendering iteration. Here is the above example expanded to let you interact with the circles using the mouse. 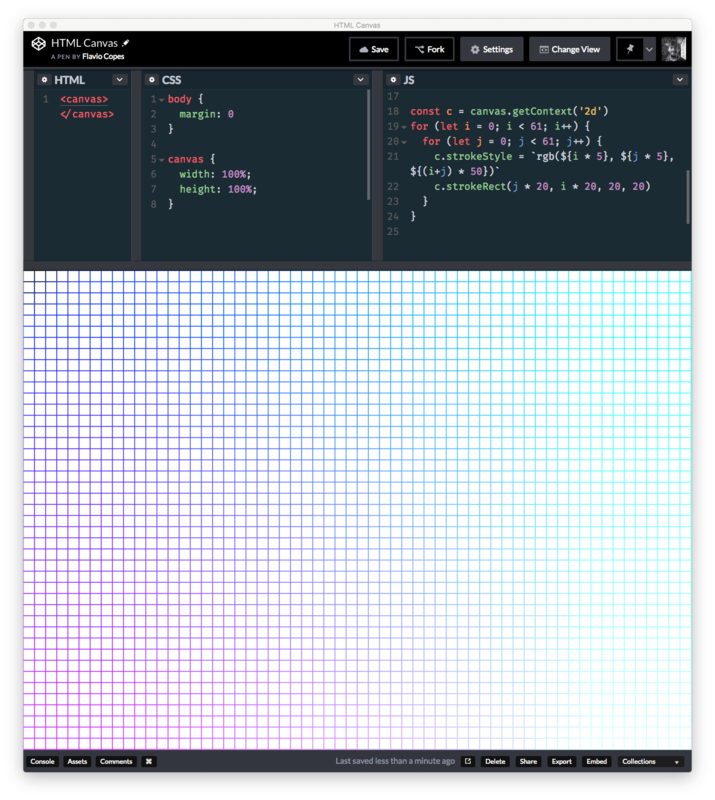 See the Pen HTML Canvas fun with circles by Flavio Copes (@flaviocopes) on CodePen. 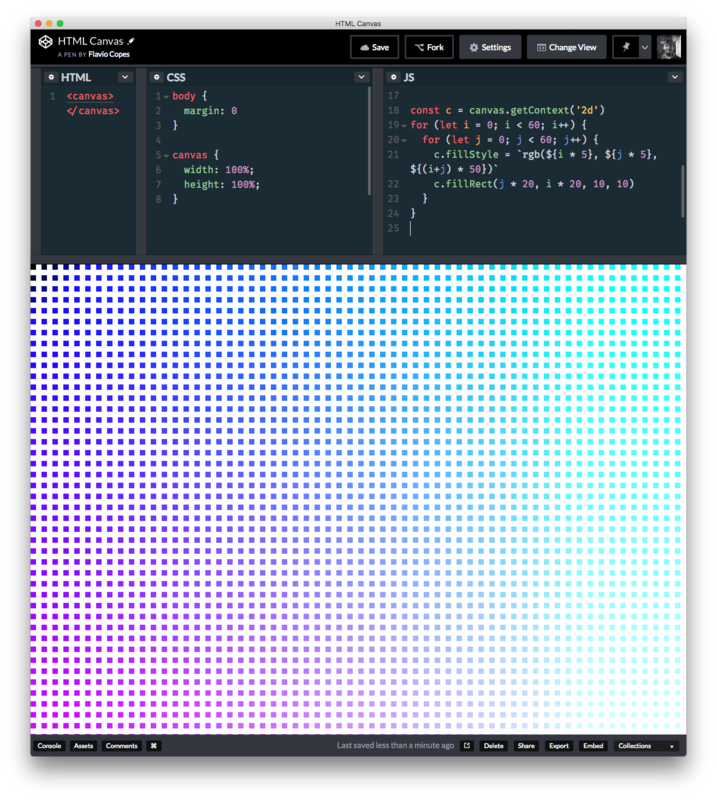 distanceFromMouse is a value expressed in pixels (set to 200) that defines how far we want the circles to react to the mouse. If you try to edit those projects above and add a bunch more circles and moving parts, you’ll probably notice performance issues. Browsers consume a lot of energy to render the canvas with animations and interactions, so pay attention so that the experience is not ruined on less performant machines than yours. In particular I had issues when trying to create a similar experience with emojis rather than circles, and I found that text takes a lot more power to render, and so it was sluggish pretty quickly. See the Pen HTML Canvas fun with Emojis by Flavio Copes (@flaviocopes) on CodePen. This page on MDN lists many performance tips. 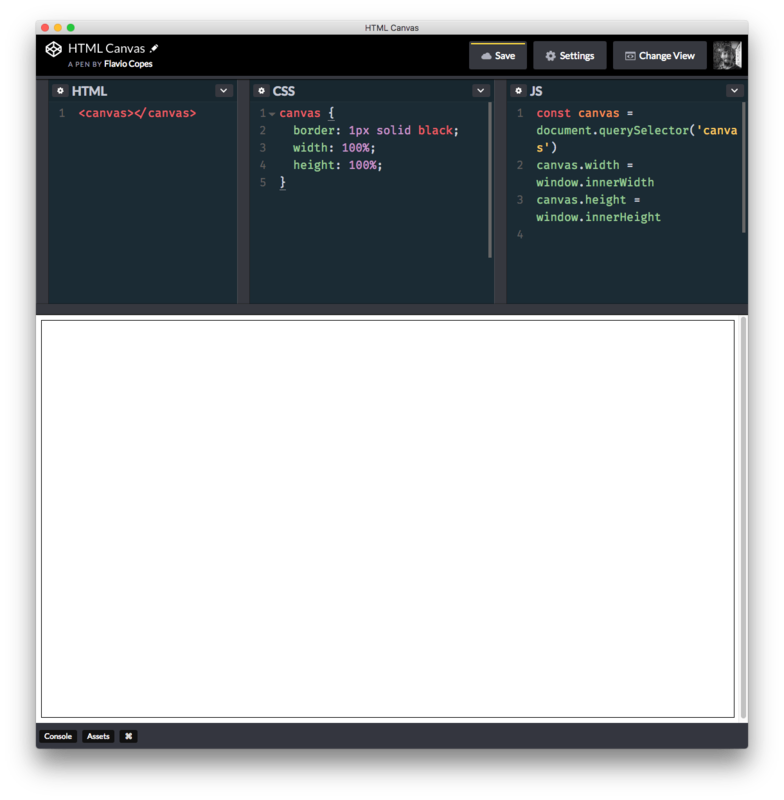 This was just an introduction to the possibilities of Canvas, an amazing tool that you can use to create incredible experiences on your web pages.